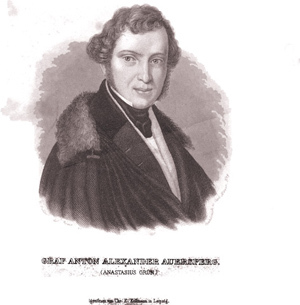 Count Anton of Auersperg was born in Ljubljana (now Slovenia) into a noble family. He studied in Graz and became the national poet of Slovenia. He travelled widely in the Americas.